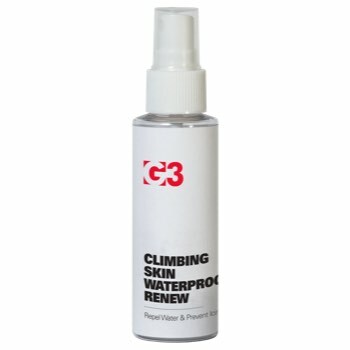 G3 s Nano-tech Climbing Skin Waterproof Renew spray for at-home application creates a unified, flexible, and environmentally friendly layer that repels water from the skin fabric and prevents icing. Compatible with any nylon or mohair skins. Compatible with any nylon or mohair skins.